In some ways it was appropriate that Solum should have arranged for such cold and miserable weather for the evening of their Presentation. No amount of showy IT could mask the fact that the Tower they are planning for the Station car park will be enormous, and ugly, there is no way anyone will want to stay in their hotel, and the 'Night-Economy' will be improved not one jot. Unfortunately, if it looks like it, sounds like it and smells like it, then it is. However, perhaps even more depressing than the weather, and the Solum Plans, [plans allegedly hewn by a gang of rabid foxes gnawing on a left-over ransid ham] is the fact that our inglorious representatives on the council appear to be so hungry that they will gratefully accept this landfill, and worse still put a bit of pickle on the side, and try to tell us its actually quite tasty. Go on have a mouthful, look we're eating it, ooooh its lovely, mmmm so tasty. Since they don't actually own the land, but manage it for the community, it should not be possible for them to pursue this plan, but stranger things have happened. 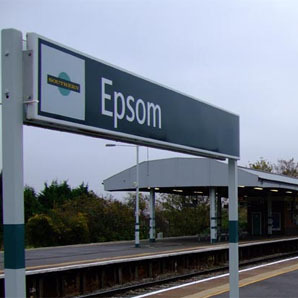 Solum branded a "bad neighbour"
That's the message we've been given by campaigners in Epsom, the first station unfortunate enough to have been targetted by Solum. The council was apparently bullied into giving planning permission even though CABE recommended it be refused (the usual strongarm tactics from developers - councillors and officers were told that if they refused permission then Epsom would miss the boat and there would be no regeneration at all!). And now nearby residents are being woken in the early hours of the morning by work on the new development. Thankfully the local council there has now told Solum that it isn't allowed to work through the night. But residents are left with a nasty taste in their mouths that the developer thought it was appropriate to do so - on one occassion they woke up residents by cutting down a telegraph pole at 2am! A message from our friends at the New Lammas Lands Defence Committee... The Leyton Marshes area (just north of Hackney Marshes on the east side of the River Lea) is threatened with high-rise ribbon development along Lea Bridge Road all the way from Lea Bridge to the Railway station under the emerging Northern Olympic Fringe Legacy Masterplan, and if more residents - especially in Waltham Forest, as almost all the Users' Forum attendees are from Hackney - don't wake up to what is being proposed it could actually happen! There will be a presentation about the proposals at the start of the Leyton & Walthamstow Marshes Users' Forum meeting next Tuesday (16th November, 6:30-8:30pm) at the Lee Valley Ice Centre. It's in the evening (email dmiller@leevalleypark.org.uk for more info on the meeting agenda). Drum roll please... St Modwen out! If we hadn't, ahem, forced developer St Modwen to take down its horrid flags from the Arcade site, they'd be flying at half mast today because - according to this Walthamstow Guardian report - St Modwen and the council have now parted company! Is this good news? Undoubtably, in our humble opinion. St Modwen repeatedly made it clear that it had no interest in working with residents and its tower block plans had little merit other than making a change from the then Arcade bombsite. Now that the council has tidied up the site, there can be no doubt that it's worth taking the time to come up with a good quality development that will benefit the area and stand the test of time. We really hope that the council, and whoever it teams up with next, will work with residents... rather than excluding us. The country's top architecture experts CABE have reviewed the plans and think they should be refused. You can read their scathing report online. Now, is the council going to take any notice...? 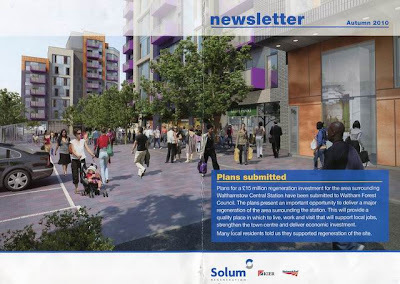 Solum's latest attempt to trick residents is a glossy "newsletter" (produced by Lexington Communications, a company that specialises in political lobbying and public relations) promoting the development. It's relentlessly positive, it doesn't include any pictures that indicate the height of the tower blocks, in fact it doesn't even mention the height, and it has a form residents can post back to "register your support" - this has a single box you can tick to say you support the regeneration plans, no way of registering your objection and no room to leave a comment. No doubt they are hoping to use the results to prove demand for their development - but the council needs to be smart enough to realise that a vote for regeneration doesn't have to mean a vote for these low-quality high-rise plans; regeneration could take a better shape. Our council could be more proactive in resisting the plans, as other councils have done. For example, Richmond Council has just approved a new planning document that limits height in response to a similar high-rise scheme by Solum for Twickenham Station, forcing them to go back to the drawing board. 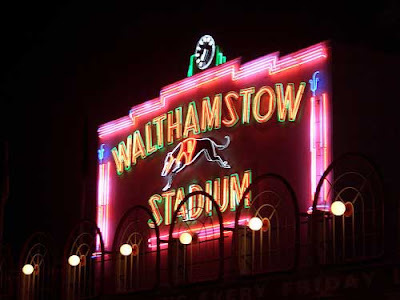 The 'SaveOurStow' group are campaigning to prevent the Walthamstow Dog Track being turned into a high-rise housing development. Please go to http://www.saveourstow.co.uk/ and vote in their online survey. As promised, here's how to object to Solum's high-rise, low-quality plans for Walthamstow Central station car park (see the stories below for more details of the plans). Please spare a few minutes ASAP to object to the plans - by emailing or writing to Ian Ansell (dcmail@walthamforest.gov.uk FAO: Ian Ansell), Development Management, Sycamore House, Town Hall Complex, Forest Road, London E17 4JF. Please quote "Application number 2010/1047 (1-2, 3,4,5,6 and 10, Station Approach, Hoe Street and 1,2,3 Station Approach, Selborne Road Walthamstow London E17 9QF)"
The scheme is out of scale. It will overshadow and dominate Victorian houses on Priory Avenue (4.1, Urban Design Supplementary Planning Document). The massing is also out of keeping with surrounding blocks (5.7.1, 5.7.2 and 5.9.2 Urban Design Supplementary Planning Document). The 13 storey hotel block sits too close to Hoe Street and is far taller than the existing tallest local building – Tower Mews, which is already unpopular with local residents. The Prince's Foundation plan for Walthamstow Town Centre recommended no more than 5-7 storey buildings (www.walthamforest.gov.uk/walthamstow-sec3-massing-may08.pdf) for the site. And Waltham Forest's IPPF, derived from The Prince's Foundation report, says new developments must: "demonstrate, if a tall building is included in the scheme, how the development creates an attractive landmark enhancing London’s character, helps to provide a coherent location for economic clusters of related activities and/ or acts as a catalyst for regeneration and takes into account design and impact on their surroundings. (LP 4B.8)" (www.walthamforest.gov.uk/master-plan-ippf.pdf). Allowing higher massing will also set a bar for other developers in the town centre to aspire to. Waltham Forest council should be sending a clear message that enough is enough. The plan features retail units around a new public square. Yet this space will likely fail as it will be dominated by blocks that will tower over it, with one side of the square also used by loading lorries and other vehicles (including likely cabs from the proposed taxi office). There is little from the plans to indicate a high quality of design, or a design that is in keeping with its surrounds. And the current design also puts the tallest building at the entrance to the site – creating a visual barrier to the site. The current existing buildings at the entrance of the site are quality Victorian buildings and should be protected (5.7.4, Urban Design Supplementary Planning Document). Their retention would improve the site. The plan is still not effectively linked to central Walthamstow's main civic spaces – the town square/High Street. And therefore it risks further splitting Walthamstow residents as to how they come out of the station. The hotel also will add nothing to Walthamstow's economic vitality and viability – with unattractive links from the site to the High Street etc. – and most likely residents of the hotel will simply be commuters who will shop, eat, drink etc. (spending their money) at Liverpool Street or in central London. The designs bear little relation to the surrounding area and feature large repetitive facades of low-quality design, made worse by their sheer scale/height. This is meant to be a key site for the future of Walthamstow town centre – but it clearly sets a very low bar in terms of future development in terms of quality of design. CABE, the Commission for Architecture and the Built Environment, said of Solum's Epsom scheme: "We do not think this scheme should receive planning approval, and are disappointed by the low quality approach to the design of both the station, and the associated retail, hotel and residential development… We understand it is the first of a series of station redevelopment projects… This approach… should not be rolled out to the other stations... A fundamental rethink is required… to achieve greater improvements to the station, a great place to live, and an architectural character more responsive to Epsom." (www.cabe.org.uk/design-review/epsom-railway-station-2). Fairly obviously, given the pictures on CABE's website, and the proposed mix of uses in the Epsom scheme, the opposite is happening – Solum are rolling out a low-quality one-size-fits-all scheme with hotel, residential, retail and tower blocks as bog standard as they can get away with. There is a parcel of land attached to the site that hasn't been included in the plans – and is set to be sold off at a later date. Given the strategic importance of the site in the town centre and its creation of new public space, but with only one point of access to the whole site, it's vital this land and plans for it are considered in concert with the rest of the site. That hasn't been done yet, and there's no guarantee it will be. Turns out 'Solum' [S'lum, SoGlum, Golum, SoLumpy, Soul-less; please feel free to add you own], is 'an exciting joint venture' [lucrative co-op] between 'Kier and Network Rail'. But if you thought those kindly chaps at SoGlum had chosen Walthamstow because it offers them [and us, of course] unique opportunities; 'stop right there, thank you very much'. Far from it, S'lum are hoping to deposit there visions of low-quality-sub-shopping mall, 2-a-penny-motel, tower blocks all over the South East. In 8 different locations to be exact. Its a bit like being given a cheap and pretty crap present by your boss, and then finding out he was giving them to quite a few people actually, and he got them free at the conference he just came back from. You're not worth much effort, and your not vey special. "We do not think this scheme should receive planning approval, and are disappointed by the low quality approach to the design of both the station, and the associated retail, hotel and residential development. " "We are particularly concerned about the poor quality of this scheme, as we understand it is the first of a series of station redevelopment projects to be brought forward by a partnership between Kier and Network Rail"
"In our view this approach is not acceptable, and should not be rolled out to the other stations where Kier and Network Rail are in partnership. In our view a fundamental rethink is required, starting with revisions to the client brief, to achieve greater improvements to the station, a great place to live, and an architectural character more responsive to Epsom"
Well if that's what CABE thinks, there's no way it'll get past those sterling fellows in the council. Standing tall [but not too tall] for high quality, design led development, as they do. 12-storey tower block - incoming!!! Alert! Alert! The word on the street is that Solum's planning application to stick a whopping great big tower block on the Walthamstow Central station car park is imminent. Like, next week imminent. They're sneaky so-and-sos at Solum. They did their "public exhibition" with the bare minimum of publicity, and over just two days, so many people missed it. And now they're putting in for planning permission just as school summer holidays start, so loads of people will miss the consultation period. It's almost as if they wanted to steamroller this rumoured to be 12 STOREY TOWER BLOCK through without objections! Yep, they've cut the height from 14 to 12 storeys according to our sources. Woo! And there's minimal affordable housing in the development, and very little family housing, so it really doesn't give Walthamstow anything positive at all. There's also no parking planned, despite the development including a hotel. Oh and it's still pig ugly - see above. Having pulled out of a scheme to develop Walthamstow’s Arcade site with a tower containing homes, shops and community facilities St Modwen have approached the council again. Since the council's pledge to develop the site with £30 million of taxpayers money is now dead in the water as public spending is dramatically cut, St Modwen have returned with a new “market orientated” scheme. Council leader Chris Robbins, who ordered the site to be brought back into community use last year, said: “The council has agreed to allow St Modwen until early July to submit details of their proposals. Watch this space for news of an entirely similar plan to blot the Walthamstow landscape. A LARGE housing development by Hadley Homes, which goes against current policies on the density of new schemes will be considered by councillors next week. Officers have recommended that an application to build 562 homes in blocks up to seven-storeys high on industrial land off Billet Road, Walthamstow, should be approved to address a shortage of affordable properties. Hadley Homes also want to include four shops, business space and community facilities - including a health centre - on land at the Billet Works, Kimberley Industrial Estate and former Tyco building in Higham Hill. 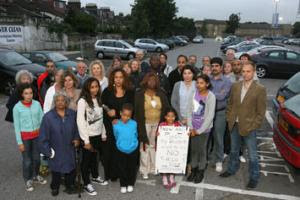 Residents, The Metropolitan Police’s Crime Prevention and Design Advisor, and the Primary Care Trust have all raised serious concerns about the development, including its density, increased traffic and security, but as yet the council has failed to address any of them. The application will be considered by the Planning Committee on Tuesday (April 13). 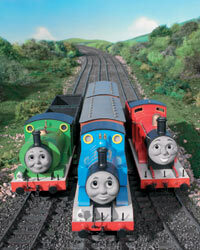 The Fat Controller has overlooked Sodor Island's outdated steam powered transport system and dilapidated infrastructure. Instead he has turned his attention to Walthamstow. 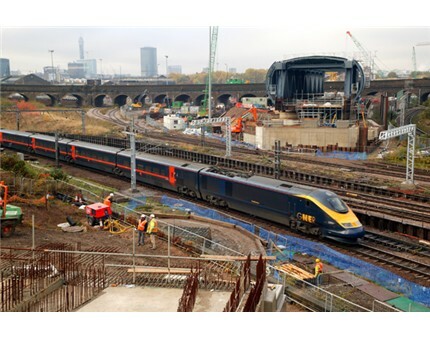 WALTHAMSTOW Central Station is set to be transformed under plans for £500m investment by Network Rail and construction firm Kier. Working together under the name Solum Regeneration, [clearly a front for the Fat Controller and Naughty Diesel] the companies plan to regenerate stations across south-east England. Walthamstow Central is one of seven stations that will be among the first to get an overhaul. A public consultation [hosted by Ringo Starr] on the plans for Walthamstow Central will take place later this month, but a date has not yet been confirmed. Once again the Council massively under delivered. Luckily this winter came to rescue and provided us with a real ice rink, but that just highlighted what a farce the Council’s efforts were. The carousel on the site was so much better but even that could not lift the sense of abject failure that hangs over the site. Let us remind ourselves of what we were told last July. The consultation exercise involved a questionnaire, an independent survey and a discussion group with key stakeholders and residents. The resulting Report , published last October, identified a wide range of activities and preferences, which the Report broke down into 6 categories; Performance, Events, Art Projects, Markets, Retail and Sports. Enough material, you would have thought, to enable the Council to do more than erect a flea bitten ice rink. It gets worse than that. An ice rink was a popular choice in the “Events” category, with kids especially keen on the idea. What they got was a disgrace. But what about the Art Exhibitions, Cinema, Music, Dance or even the idea of a Space for Small Businesses which were amongst the many ideas generated during the consultation? There has been nothing from the Council since October. Except now it plans to charge campaigners for setting up stalls in the Town Square.